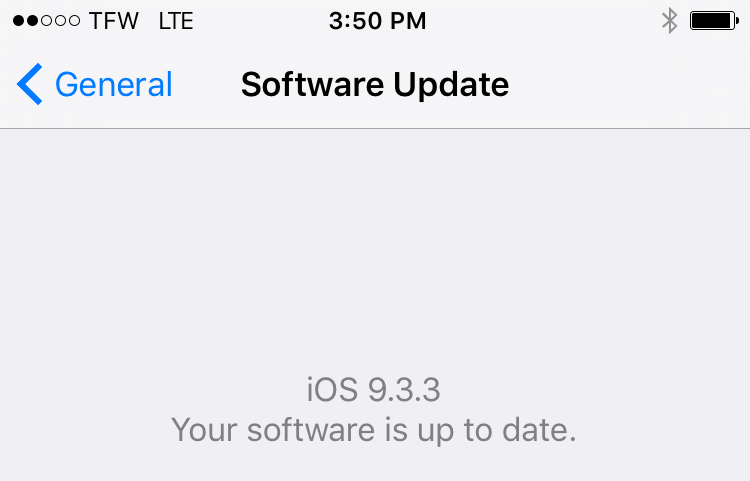 Today I finally got around to updating my iPhone 6s and iPhone SE to iOS 9.3.3. No issues with Straight Talk Wireless, that I can see. My iPhone 6s is using Straight Talk’s AT&T network. My iPhone SE is using Straight Talk’s Verizon network. The carrier profile remained at TFW 24.2 for the iPhone 6s and Verizon 24.2 for the iPhone SE. As usual, I check to make sure that can make and receive phone calls, send and receive MMS picture messages, and use cellular data to get on the Internet. I ran Speed Test before and after to make sure my data speeds were not suddenly reduced after the update. What about you? Did you update? I ran the update for my iphone 5s the other day and have been unable to connect to my data and send / received MMS messages. I’ve been through every “how to” for correcting possible issues since and nothing has worked. I made sure I didn’t have a profile on my phone prior to updating, like the message said. Now I have no idea how to update the APN so I can get my data and MMS messaging back up again. All I see is VPN not connected. Which Straight Talk network are you using AT&T, Verizon, TMobile or Sprint?